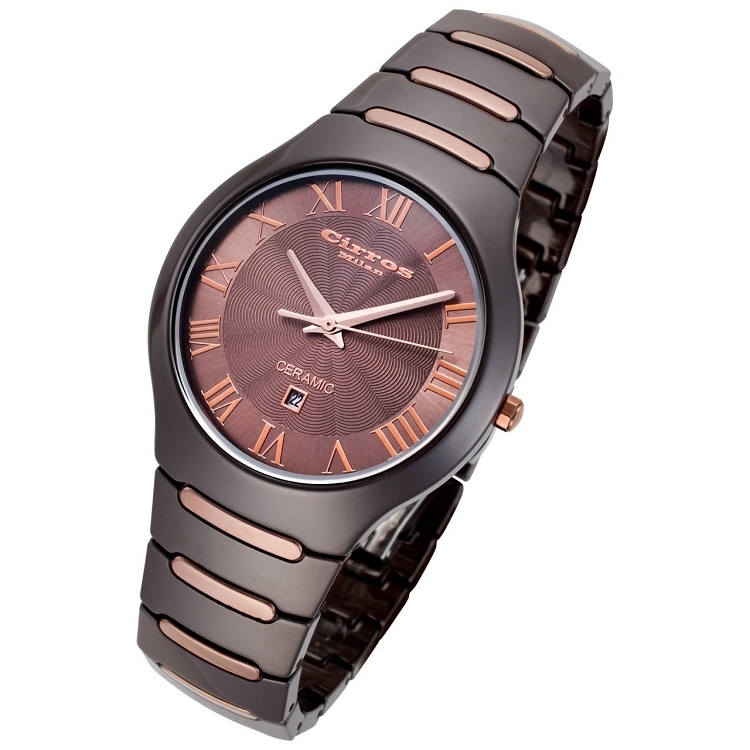 Cirros Milan Empire Series Chocolate Rose Gold Trim Ceramic Watch is made of glossy hi-tech Chocolate ceramic. This watch is the perfect interpretation of a classic. As a new addition to Cirros Milan's Empire Series, the watch features a bronze dial with bold rose gold Roman numeral hour markers and hands. The band features a unique combination of hi-tech bronze ceramic and rose gold.